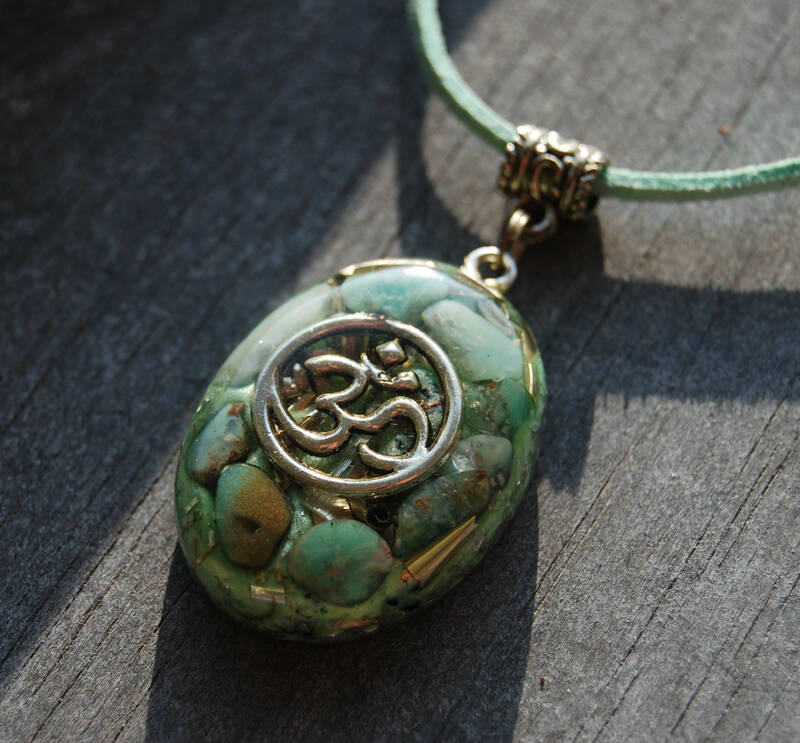 This lovely Orgonite® pendant contains aluminium, iron, brass and copper shavings, Chrysoprase, Selenite, Lemurian Quartz and an AUM symbol all within an organic resin setting. 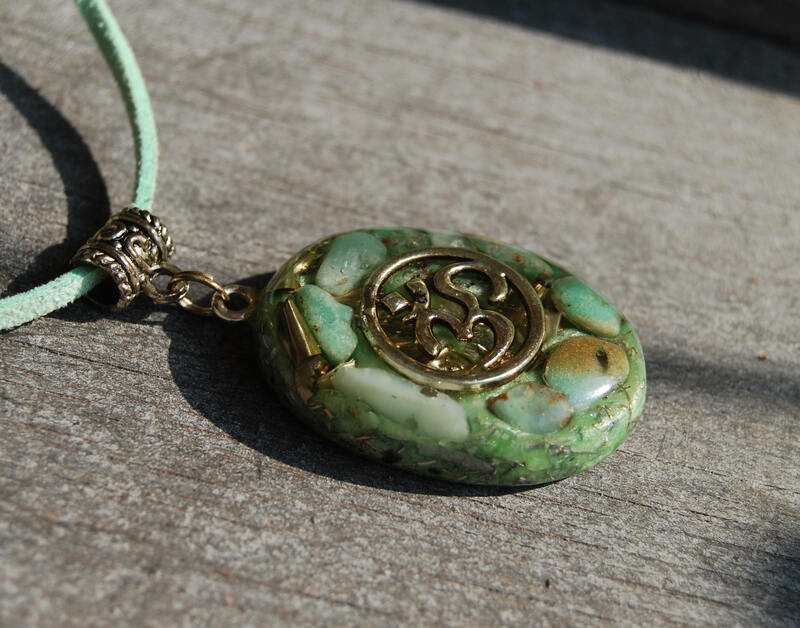 ..:: Meaning of AUM ::..
Chrysoprase is powerful stone. 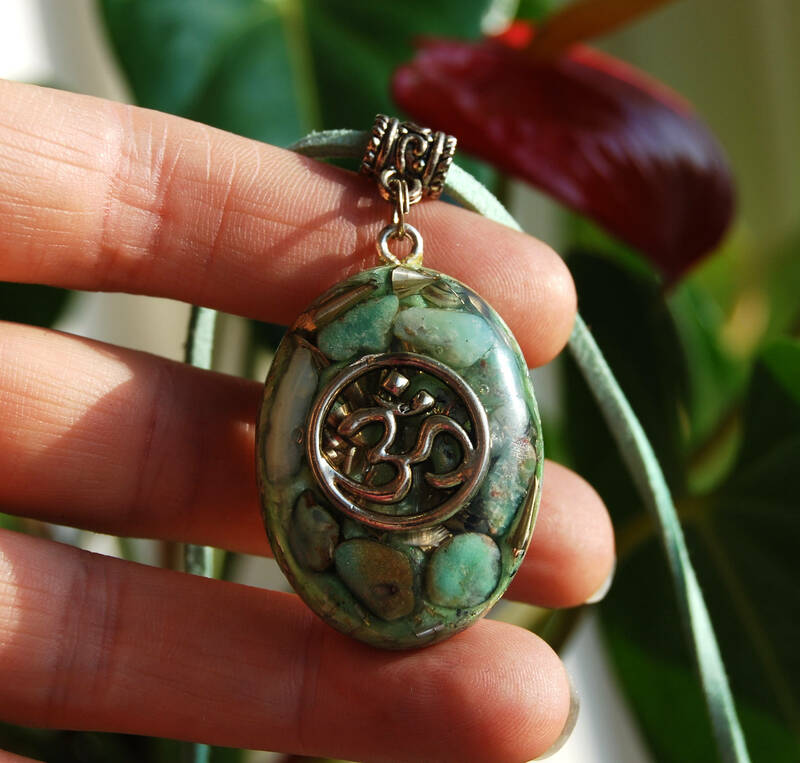 It is said to bring good fortune and prosperity, as well as business success. It facilitates self-expression, courage, hope, and the ability to use them wisely. 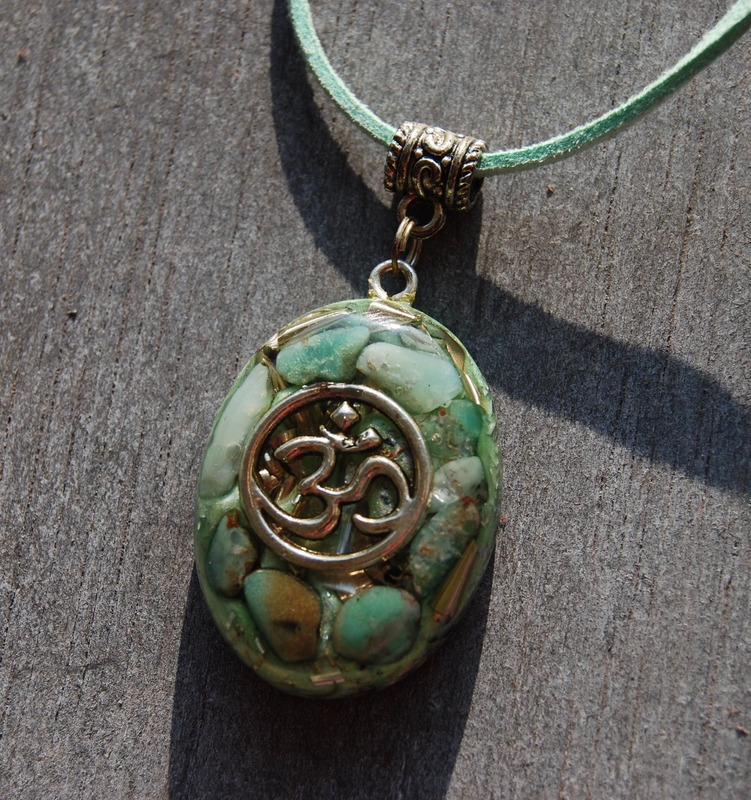 It can bring happiness, which is partly because it helps its wearer get rid of negative thoughts and irritability. It also enhances and strengthens friendships. 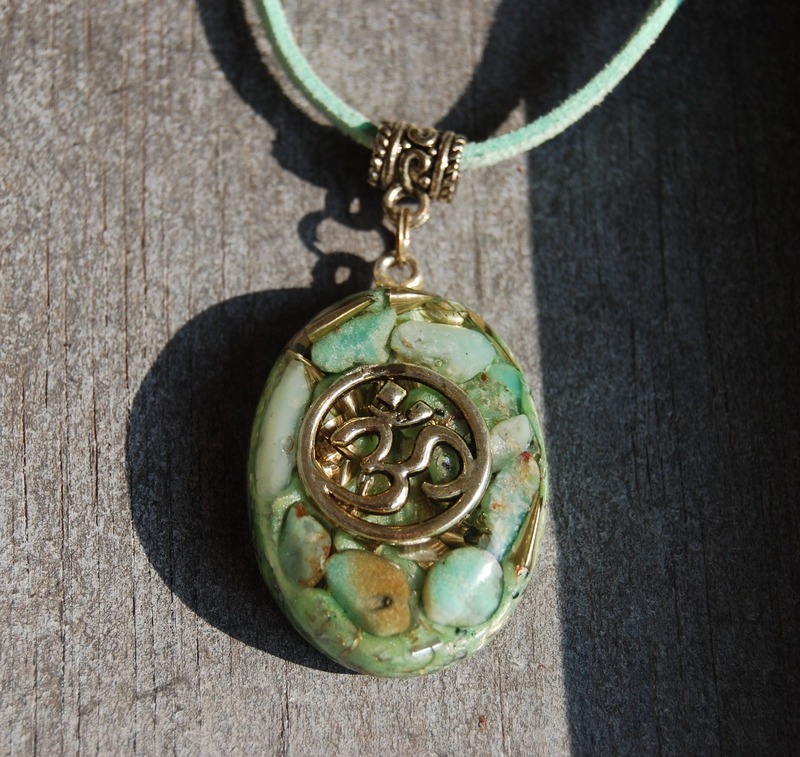 Chrysoprase is a stone of balance that equalize yin/yang energies and allows deep meditation. It can mend broken hearts and remove inferiority or superiority complexes. 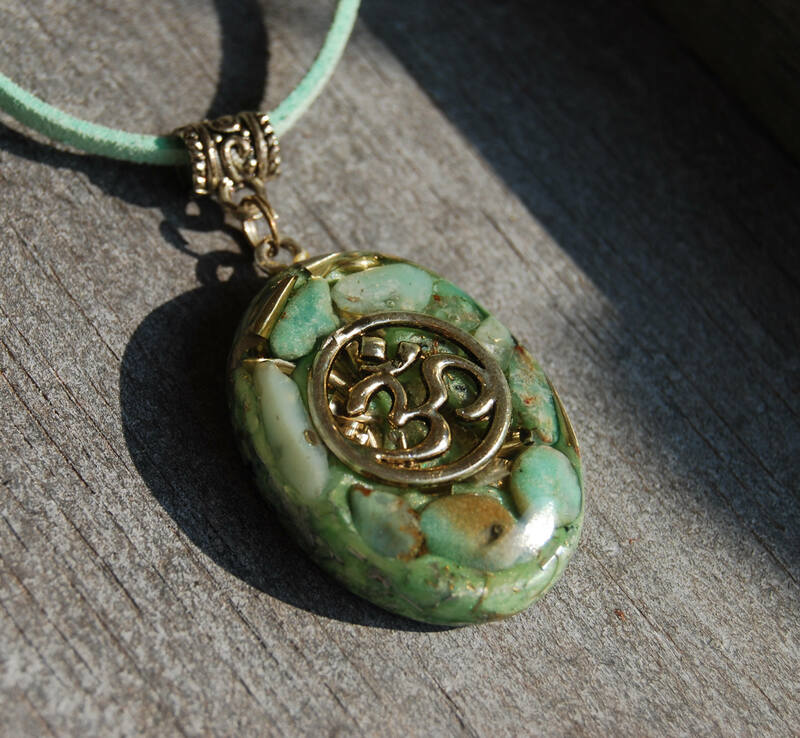 Emotionally, chrysoprase has been known to promote love, forgiveness, compassion, joy and happiness, self-confidence, and brings one far away from feelings of anxiety, depression, and co-dependence. Chrysoprase attracts prosperity, abundance, mental clarity, love and enhances your intuition, allowing one to be truly centered. The crystal will also help one make use of gifts and talents they possess, but may have forgotten about. This in turn promotes creativity and attracts success in new ventures. 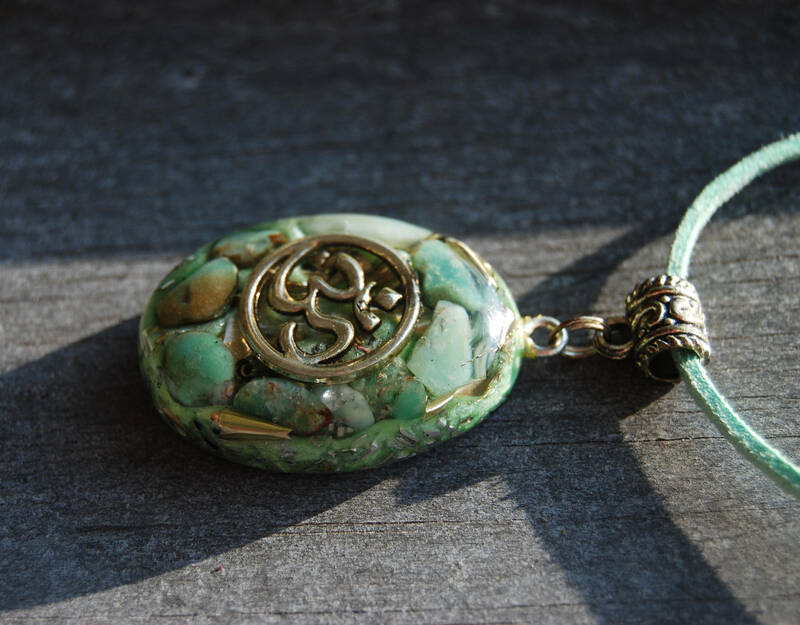 It is also said that chrysoprase has the ability to attract new love as it helps in mending a broken heart by aiding the wearer with his or her new self-esteem. Lemurian ICE QUARTZ (known as Arkansas Diamond) is recognized as among the purest and clearest quartz in the world and is often the crystal used to manufacture computer components. 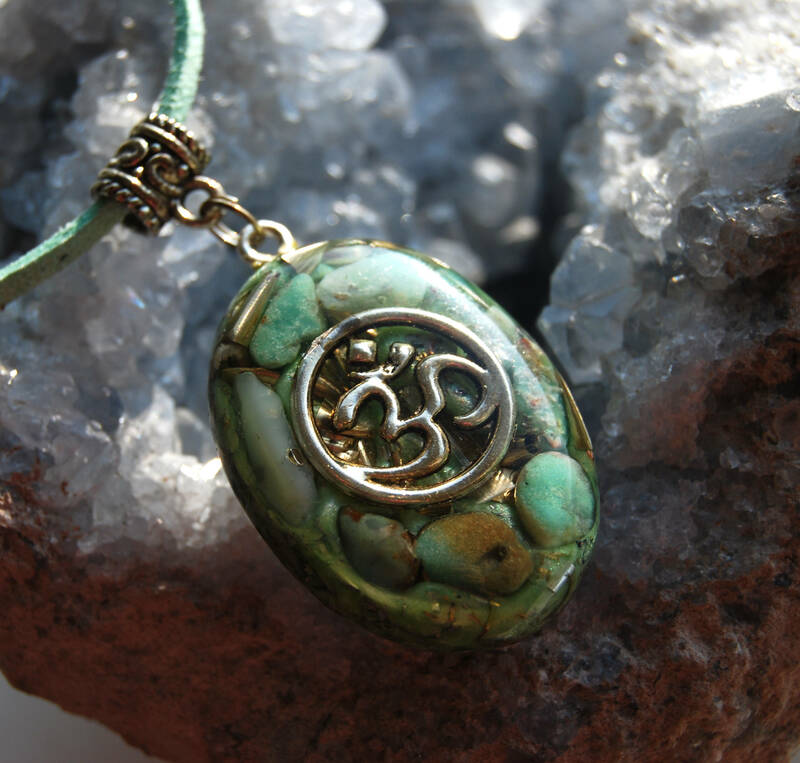 These amazing crystals amplify, focus and transmit energy. 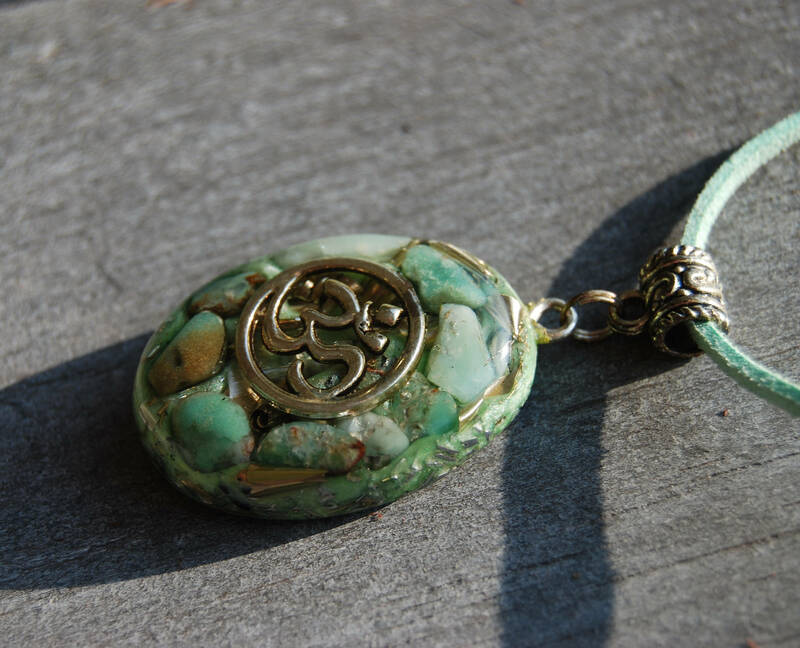 May also be used to clear away emotional or spiritual blockages, remove obstacles and open the way (road opener).